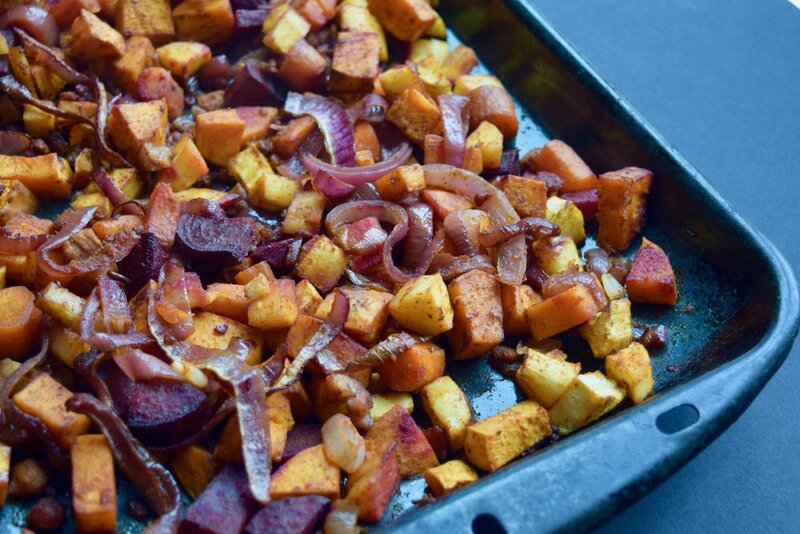 In a large bowl, toss the chopped veggies, onion, bacon pieces, acv, oil, and spice blend. Mix well to ensure roots are well coated. Turn veggies out onto a large rimmed baking sheet, scraping the bowl to get all the spices out. No flavor left behind. Roast for 45-50 minutes, until veggies are fork tender. Serve as a side dish or top with a soft boiled egg for breakfast!